Scandinavia is an amalgamation of what had been Sweden, Norway and Finland (joined in 915), of which Finland had had to be ceded to Russia after the War of 1809, then returned to Scandinavia after the Russian revolution in 1919. By themselves the countries were not big enough to be able to resist the major powers of Russia and the Germanic States that shared the Baltic Sea with Scandinavia. The size (in order) 9.4, 3 and 3.7 million people for a total of 16.1 million for Scandinavia. To give an idea of relative sizes, the United Kingdom was 47 million at the same time. With no overseas colonies to protect the need for long range oceangoing ships was minimal. A coast defence force based on speed of response with a few "Ships of force" for the light forces to fall back on. The Scandinavian Navy had the ability and resources to build all of the parts necessary for all the different types of ships that it may build. In the Bofors factory/armoury Scandinavia had one of the leading developers of weapons. The country had the resources and finances to maintain as large a fleet as it required but common sense kept the size of Scandinavias fleet to reasonable proportions. 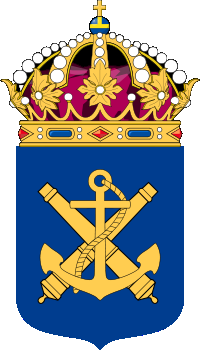 The fleet was based on four major bases, Bergen, Goteborg, Malmo and Helsinki. These bases housed the 'ships of force' deemed necessary to back up the forces from each base. For example the 'ships of force' for Helsinki were four very fast destroyers to back up the torpedo boat units which were the main vessels based on Helsinki. While the 'ships of force' for Bergen were a pair of battlecruisers that backed up the destroyers and light cruisers that ensured the 'Inner channel' was kept open for trade from Narvik and the north down to the Baltic and accross the North Sea. This forces mandate included the fishery protection duties. With Scandinavia not being a very clement place for the operation of aircraft the Scandinavian Navy never felt the need for an aircraft carrier through the interwar years till force of numbers and an observer force gave a new perspective. Scandinavia did have various vessels for carrying and maintaining seaplanes that could be based in the ice free fjords and harbours. The Baltic is too small to justify an aircraft carrier which leaves Scandinavia the North and Norwegian Seas for any possible carrier operations. Airfields at Trondheim, Narvik and Stavanger put paid to any justification the Navy may have had for an aircraft carrier earlier. Land based bombers and fighters had the range to reach out as far as the Navy felt its area of operations to be. A mock battle with Commonwealth forces showed the airforce the error of its claims. The main source of protection for Scandinavia is in the linked series of forts that are installed at the points of major necessity. Places like the beginning and end of the Oresund between the Kattegat and the Baltic had large forts that were continually modernised and would take a force of major proportions to overcome them. These forts monitored all of the comings and goings of ships through the Oresund. Areas like the Karellian Peninsular had forts in depth to protect the frontier, anchored by the fortress town of Viborg. That was the land entrance to Scandinavia. There was a very long border between Scandinavia and Russia but this border was snowbound and thick with forested areas that made attacking very difficuilt. The Scandinavian snow troops that patrolled that border were second to none. The Oscarborg Fort (which covered the Kristiania Fjord) proved that static defenses were quite capable of defeating modern warships even though its guns dated from the early 1900's. As Scandinavias older warships were decomissioned or altered where guns were removed, those guns would end up as shore based weapons in the forts listed above. Thus twin 11" were the largest turrets fitted in the fortresses through to the end of the 1930's. Scandinavia was aware of the covetous eyes that looked at the raw resources that the Scandinavians sold on the open market and were shipped to the world from Narvik and Lulea. The two major powers on the Scandinavian doorstep did not want to pay for what they could take. Scandinavia was a target that the Scandinavians knew that only their own forces could protect. The Scandinavians worked all of their gun sizes in milimeters, I have used Imperial conversions of those measurements because that is what I was brought up with. The values in the brackets are those I will use in this section of the AU. 360mm = 14.17 inches (14.2"), 700kg shell (1540lb), early = 30,000@25, later = 38,000@40.